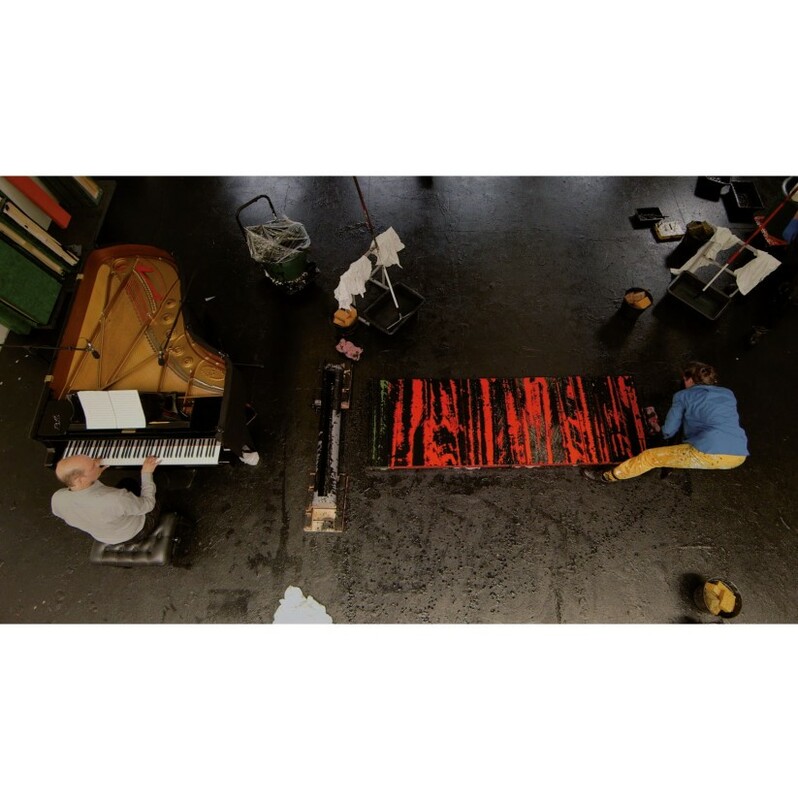 In the fall semester of 2014, French artist Fabienne Verdier was invited to leave the solitude of her studio existence to be the first visual artist-in-residence at The Juilliard School in New York. The heart of her exploration would be the possible synchronicity between music and painting. Embarking on multiple experiments with faculty and students of the prestigious performing arts institution confirmed the realization that the musician not only hears but sees, and the painter not only looks but listens. A documentary film by Mark Kidel bearing witness to these initial exchanges with Darrett Adkins, Kenny Barron, William Christie, Philip Lasser and Edith Wiens and their young musicians at Verdier’s improvised studio-laboratory on the Juilliard campus, as well as the ensuing painting studio phase of the work inspired by those very rich experiences, is scheduled for release in spring, 2016, with a publication soon to follow.